Based just outside of Colchester, Essex, Black Jacket Events provides bespoke catering solutions with an outstanding quality of food and service. Using only the finest ingredients and fresh produce, much of it local, every dish is carefully prepared to the highest level by our team of passionate and talented chefs. Bizzibeans offers relaxed style BBQ’s, served to table BBQ’s where you can see the food being cooked, taste the aroma as it is being cooked, and then enjoy a wonderful wedding meal, cooked by professional Suffolk caterers. Whether you are requiring a buffet or a feast, you can be sure that all the ingredients are fresh and of the highest quality. We will help you to plan the menu for your event or special occasion and cater to your needs leaving you to enjoy your day without any worry. The Paella and Tapas Company was set up to offer a genuine taste of Spain, using only the freshest and most authentic ingredients. We believe that the key to successful Spanish cuisine is freshness and diversity. Select your menu, then sit back and enjoy the food while we do the rest. We aim to take the worry out of organising parties, dinners and other social events by offering a complete service. Add some magic to your shindig. At Grape & Fig we specialise in luxe platters & exquisite grazing tables, bringing the Australian phenomenon to London & the surrounding areas. Our aesthetically pleasing, lavish (but affordable) spreads full to the brim with delicious, local produce are the show-stopping element perfect for any stylish, cool & authentic celebration, where standard beige buffets or tiny canapes just won’t cut it. Offer delicious mediterrean inspired outside catering, sourcing quality ingredients from the wealth of fantastic local producers. Delicious fresh food packed with flavour. Vintage food truck also available. At The Flavour Trailer we smoke specially chosen cuts of succulent meat in our custom-built smoker trailer at your event. We source our meat locally and it is smoked over a hand-picked blend of wood and coal to bring out the perfect flavour. We complement our meats with sumptuous salads, which use the freshest seasonal produce. Pizzas made from the finest ingredients including homemade dough creating delicious authentic rustic style pizzas in woodfired pizza ovens. We have drawn inspiration from Burger joints all over the world, from London to Miami, Vegas to LA, Berlin to NYC so we know a good burger when we bite one! We may not operate out of a restaurant, but our food is of restaurant quality (some would say better!!!) brought to you on a street/festival/party level. HOGIT based in Colchester, Essex delivers a taste that suits all. HOG roasts can feed up to 300 hungry guests. Together with excellent chef’s salads, several different potato dishes, crunchy crackling, savoury stuffing and don’t forget the sweet apple sauce. HOG Roast prices from £695 for 80-100 guests / £795 100-120 guests/ £895 £120-150 guests. HOGIT also offer Paella cooked on site from £8 per person and BBQs from £14.95 per person. Offer delicious Mediterranean inspired outside catering, sourcing quality ingredients from the wealth of fantastic local producers. Delicious fresh food packed with flavour. Vintage food truck also available. A wide range of cuisine, from Hog Roasts, Buffets to Afternoon tea and GREAT pies! Molly Moo’s Ices proudly present ‘Molly’ – a beautifully restored 1971 Vintage Ice Cream Van serving delicious scoop ice cream in luxury waffle cones or cups, sorbet, retro ice lollies and classic soft drinks. As well as serving yummy treats Molly is a real crowd pleaser and looks beautiful dressed in bunting and balloons. Ice cream by appointment brings a sprinkle of delicious luxury to your special occasion. Served as a dessert or as a party treat, give your guests a taste of something truly special. Can offer a huge range of sweet treats from an Ice Cream Bike, Popcorn Stand, Candy Floss, Donut Walls, Pizza Bike, Sweet Carts, Belgian Stick Waffles, Thai Style Rolled Ice Cream. Please note if you intend to use a different music supplier you will need to check with us first! Our preferred and most recommended supplier! Our wedding DJ is passionate about what he does. From the very first email to the last song of the night we accept nothing less than getting your wedding day perfect. Our DJ will play any ‘must plays’ for you and your Wedding guests and of course will steer clear of any songs you want to avoid. Soulful Singer & Guitarist a perfect addition to your day! 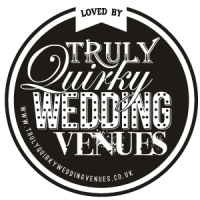 Romantic Jazz and Swing London based musicians specializing in performing elegant, atmospheric music to compliment your event. Discover the infectious rhythm of one of the Caribbean’s most iconic musical instruments. 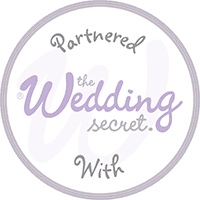 Being an Independent Wedding Celebrant I will write a bespoke Ceremony to celebrate your love for each other incorporating everything that is important to you. I specialize in bringing light to your story or story of your loved ones, and uniqueness to your special moment in a creative, meaningful, reflective and inclusive way, by writing and delivering individually crafted ceremonies for life’s biggest moments. Its It’sR moment; do it YOUR way! Nothing pleases me more in life than making people happy and I find it so rewarding to see the joyful faces of couples when they first view the images that I have taken of themselves and their loved ones. I aim to add something special to each and every wedding and photoshoot, something that makes them unique; after all we are individuals with different personalities so it is important to let these shine. I never really know how to put my style into words, but people often say how friendly and unobtrusive I am as a photographer. And the actual photos, well, I want them to be beautiful enough to hang on your walls but with enough of a story that generations in the future will be able to relive your day. If that sounds like what you’re looking for then I’d love to hear about your wedding! enjoy the day as much as possible but also generates photos at their most striking and intimate. Video4aDay is an award-winning Video Production Service that specializes in producing professional, stylishly filmed wedding videos. The Country Garden Flower Company are inspired by their love of flowers, the romantic ambience of a quintessentially English country garden and the stunning textures, forms and tones provided by nature. Combining exquisite homegrown blooms, herbs and foliage, they create floral designs with an emphasis on texture, harmonious colour and effortless natural beauty. 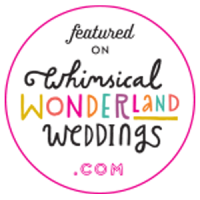 Wonderland Invites is a multi-award winning paper studio specialising in boho, rustic wedding stationery, run by Creative Director, Jenna. 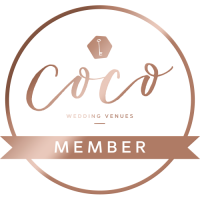 Based on the Essex coast, Jenna creates all the stationery and signage you need for your big day, from save the dates and invites, to orders of service, table plans and table stationery. The Prop Boutique is an established prop hire and theme supplier based in Chelmsford, supplying furniture, games, lighting and props. Supplying self-installation festival flags and bunting packages in a range of colour schemes. Glitter Bar for festival loving couples, eco-friendly, biodegrable & vegan friendly. 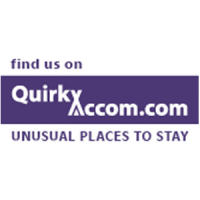 Approached down a country track and offers epic accommodation right on the edge of one of our hidden lakes in the Colne Valley, surrounded by woodland offering wonderful views in a peaceful location.